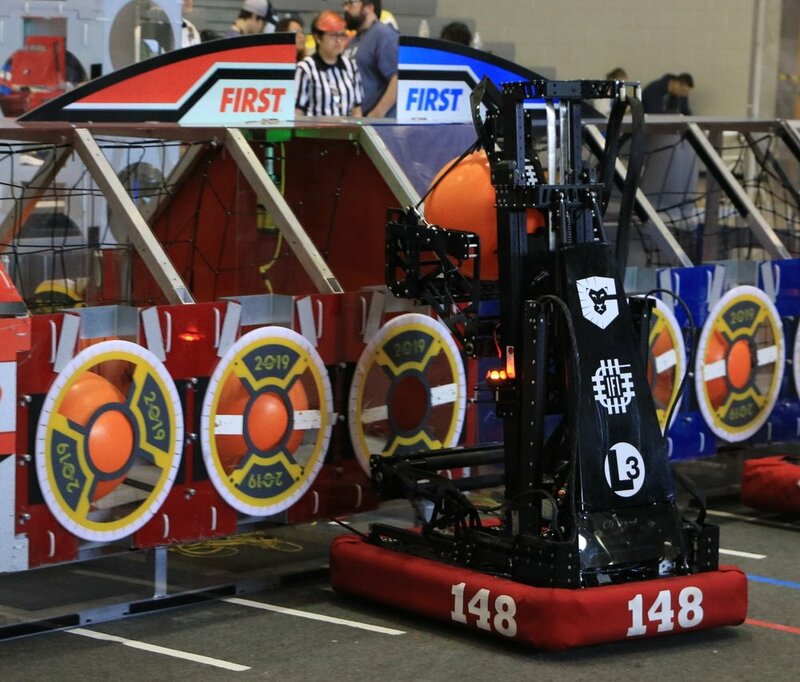 With 64 teams from all over Texas competing in one division - this event would be one of the most competitive tournaments in all of the FIRST Robotics Competition. On Saturday April 6th a UIL Texas State Champion in Robotics would be named. After a tough but successful weekend in Dallas, the Robowranglers were tired, and disappointed with our performance. Even after two district wins, we were worried how Overhang would fare against the greatest teams in Texas. Would we be able to recover from our step-backward in Dallas? Would we be able tofight through this incredibly deep event which included at least two of the “Top 25” teams in the world? On March 8th and 9th the Robowranglers travelled to Amarillo to compete in our first ever District Event. After a few weeks of robot tweaks we came out swinging ending up 18-0 and emerging as Event Champions. How do we feel? Feeling good! On February 21st the Robowranglers unveiled our 2019 robot: “OVERHANG”. It will be competing at the New Mexico (Amarillo) District, Dallas District, World Championship, and maybe at the District Championship (if we qualify). Want to know more about what makes OVERHANG tick? On Tuesday February 19th, the Robowranglers “shipped” our 28th robot! At this point most of you have probably seen the robot, but as my faithful and dear readers (and anyone with a calendar) can note, it’s been two weeks since my last update. How the team progress in that time? How did our process unfold? This season has been a bit of a struggle since the beginning, and the last 2 weeks weren’t any different. In talking to friends and seeing the comments folks are making it seems like we aren’t alone in this struggle, and that lots of teams had similarly “weird” seasons. Let me show you how we finished out. Then we can get into he details of “the robot”.